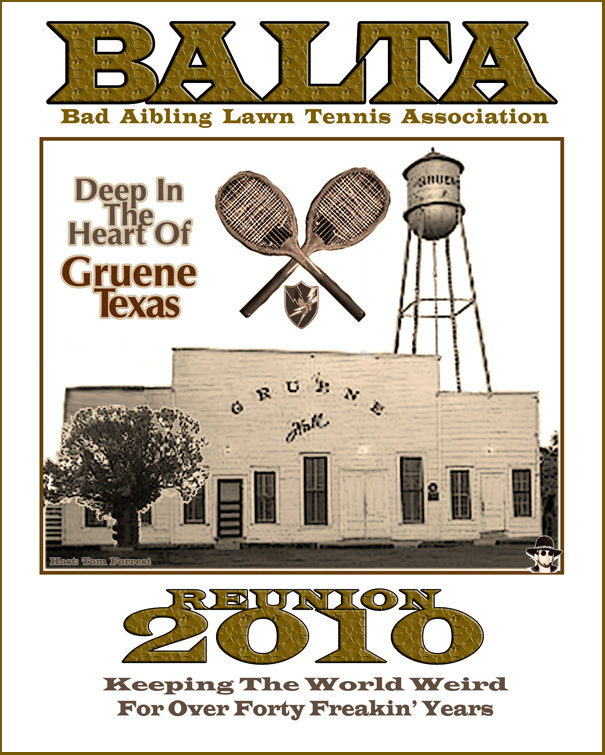 All: I know Doug Gitt has created a Texas music CD for those attending BALTA’s 40th Reunion (BAR40) next month, and having received one of his “Music from 1969 + a German Oompah band” CDs to listen to on my road trip to Ruidoso for the ’09 Reunion, I’m sure it will be good. I plan to ask for one. But, there is just too much Texas music, and too many favorites to put on one CD and I’m sure each of you has his or her own favorite Texas music/musician; for instance, John Smoller told me his favorite is Stevie Ray Vaughn http://www.youtube.com/watch?v=tWLw7nozO_U. Excellent choice, and if Doug misses your favorite, you may want to create your own CD(s) for the trip. First, we set up BALTA Radio Austin so you can have 24 hour streaming Texas music on your computer at all times. Go to http://www.pandora.com/?sc=sh351383502428061431 – / and enjoy. Since Texas, and particularly Austin, has such a music tradition, BAR40 will be a musical event, which means any and everyone can break out into song at any moment. And, one night we just may have a Texas music karaoke competition, so you will want to get familiar with your Texas tunes and practice your moves. As a primer, and for those just starting out, there is a good overview of Texas music on Wikipedia http://en.wikipedia.org/wiki/Music_of_Texas. It will be an excellent source of answers to questions that may be on the test. Someone’s favorites have been combined in “Austin iTunes Essentials” at http://www.apple.com/itunes, which can also be linked at AustinMusic.com http://www.austinmusic.com/itunes.html. The Austin Chronicle, “The Top Texas 40: Ranking the Lone Star State in song” http://www.austinchronicle.com/gyrobase/Issue/story?oid=oid%3A188507 lists 15 songs about Texas towns & places and 25 with Texas in the title. Anyone visiting Texas should have at least listened to all of these. KUT 90.5 (NPR): http://kut.org/items/show/20349 (James McMurtry Live). James is the son of Larry McMurtry who won a Pulitzer prize for his novel “Lonesome Dove”, a book you should have read before you get here. Any problems with the links here, send me a note. Working on the others issues, i.e, arrival and departure times for everyone to coordinate rides to and from Gruene and sleeping arrngements, etc. and will have it out this week. If you are one of the very few we are waiting on for information or final payment (lodgers) please respond asap. I’m going to make my car and flight reservations this week and plan (tentatively) to fly into San Antonio… I may change to Austin though. I’m thinking of arriving early…Tuesday or Wednesday and wonder if anyone else is planning the same. If so, maybe we can share car expenses and perhaps a cheapie motel room somewhere. Anyone interested? Posted in 2010 Reunion BAR40 | Comments Off on BAR40 Early Arrival?